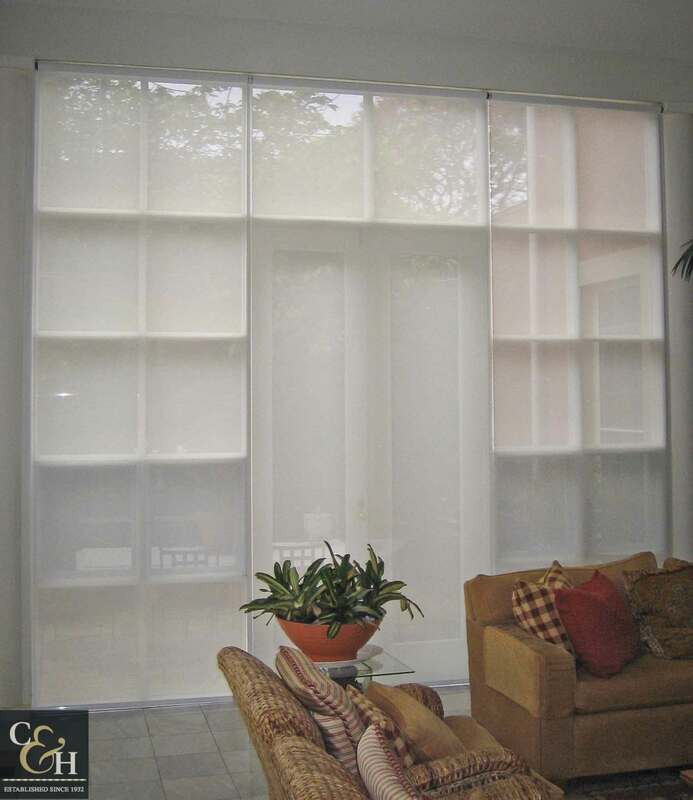 Sunscreen roller blinds or sheer roller blinds are manufactured with high-quality roller tube and chain mechanism. 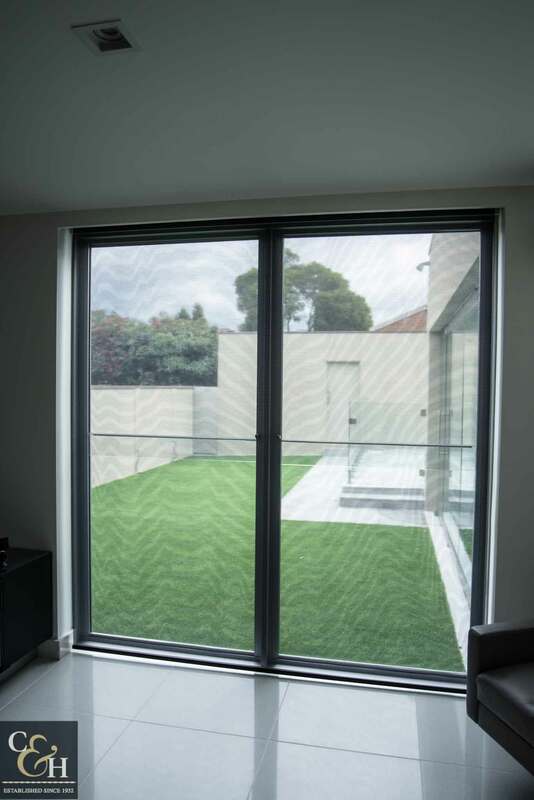 The fabrics are woven mesh style fabrics that are see-through from the inside during the day while acting as a sunscreen. 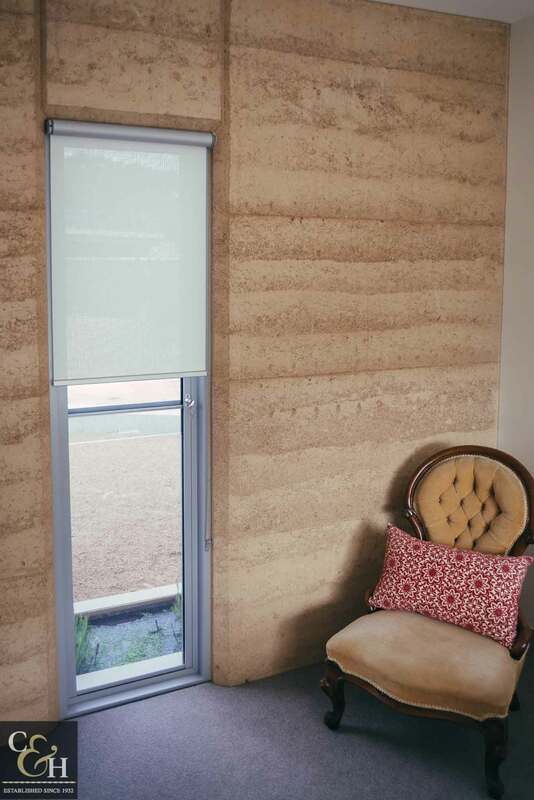 Sunscreen or sheer roller blinds are the perfect privacy blind during the day for leaving down and keeping heat out, without darkening the room. 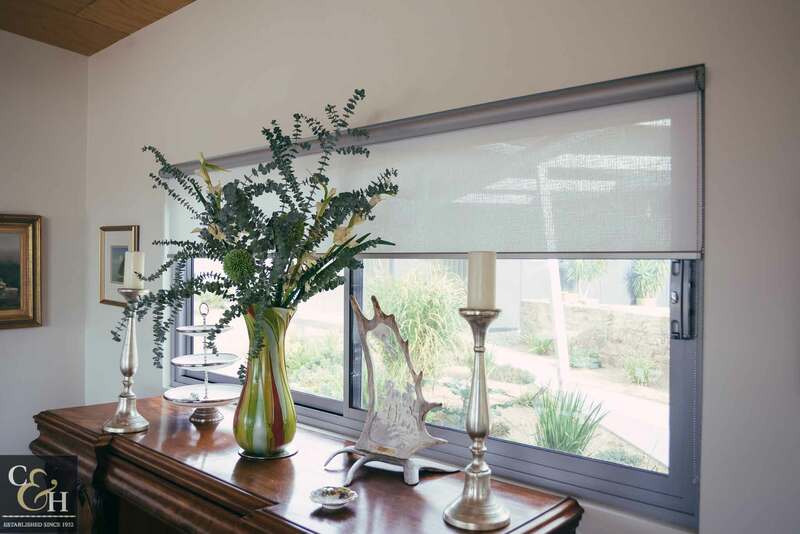 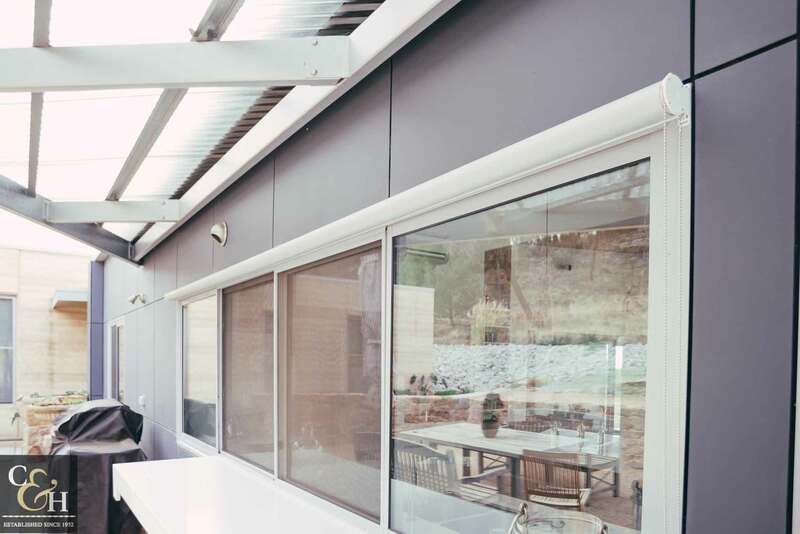 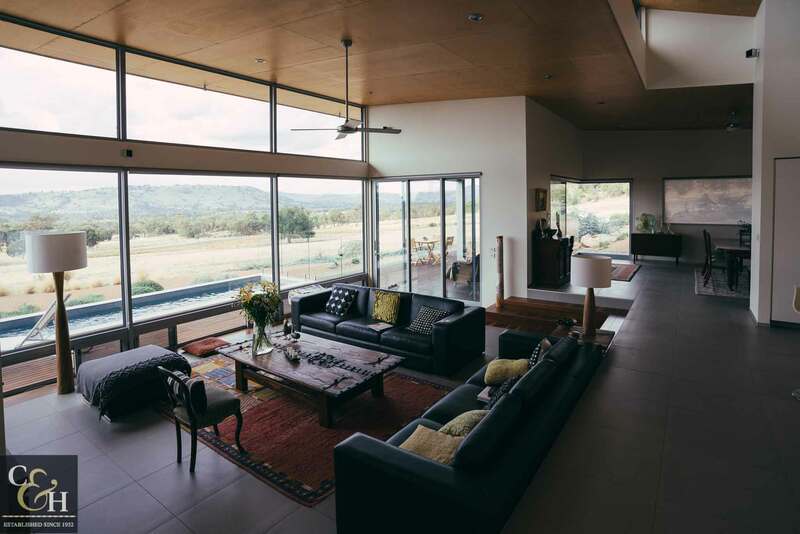 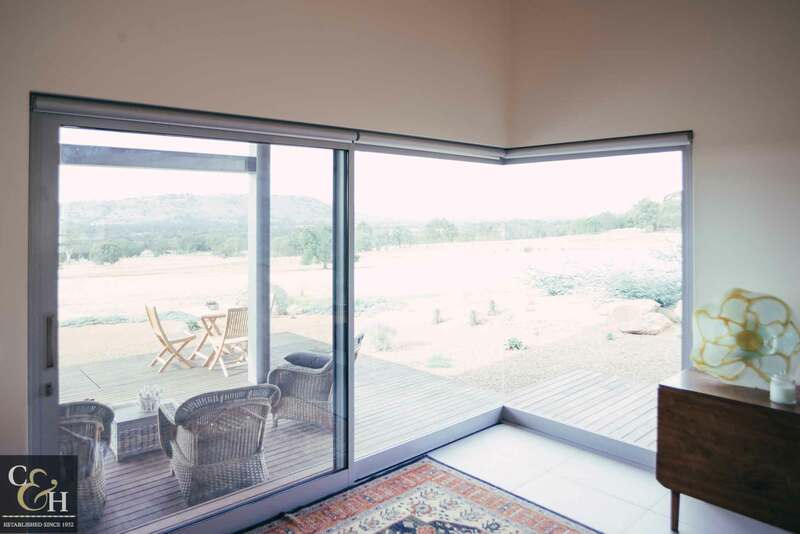 Campbell & Heeps are manufacturers and retailers of the highest quality blinds for Melbourne homes and businesses. 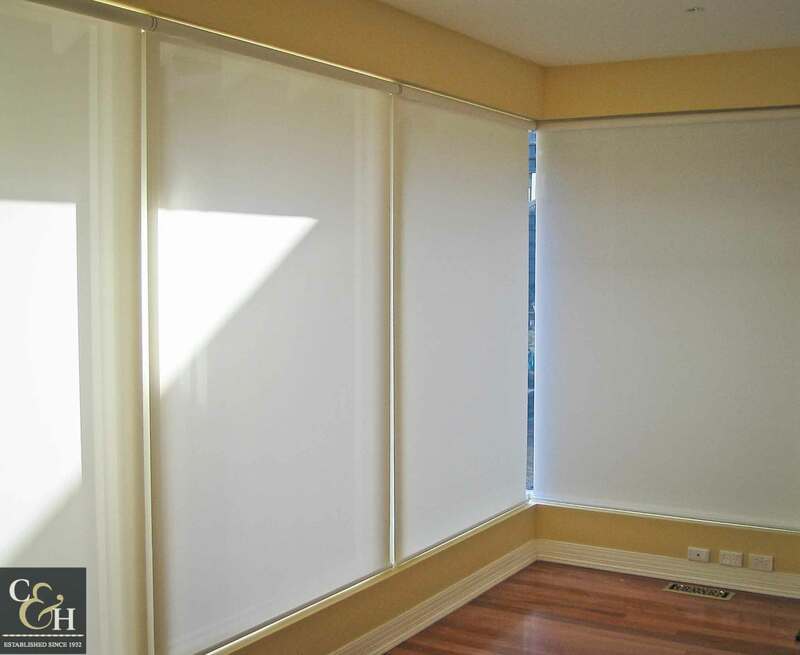 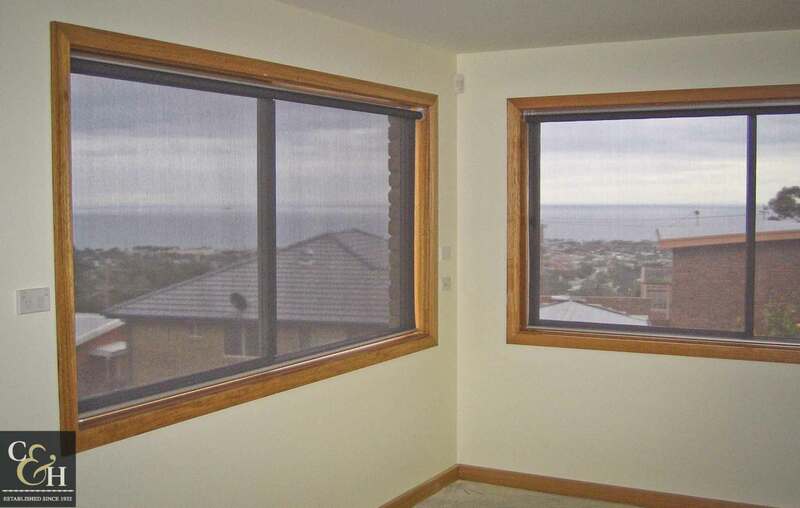 For both modern and traditional Melbourne homes, we custom make your blinds to any individual design. 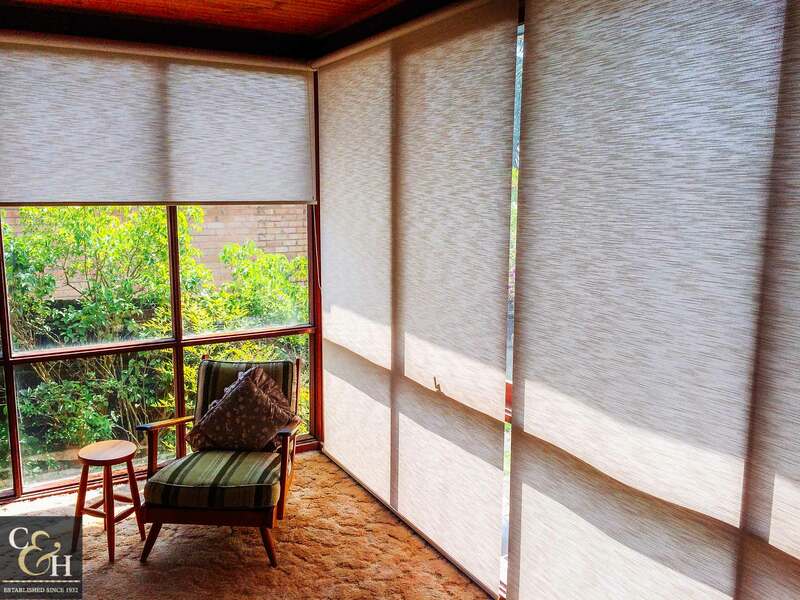 Light filtering fabrics come in a range of different densities and are easy to clean. 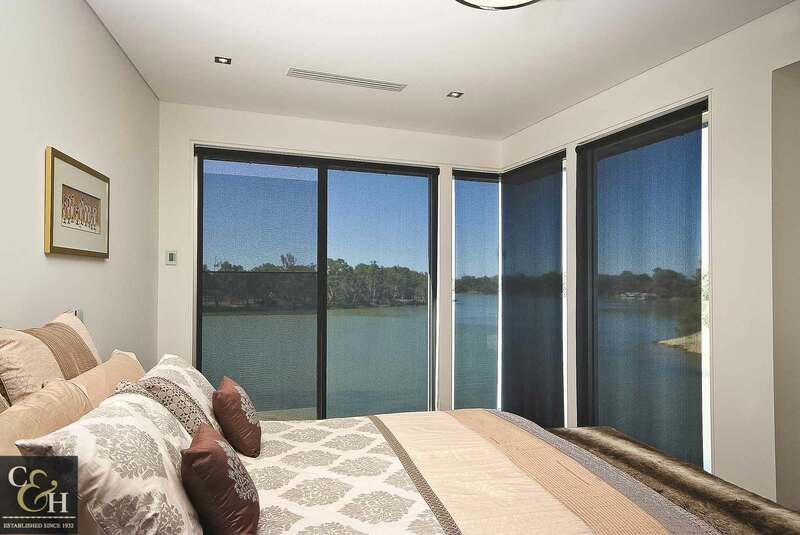 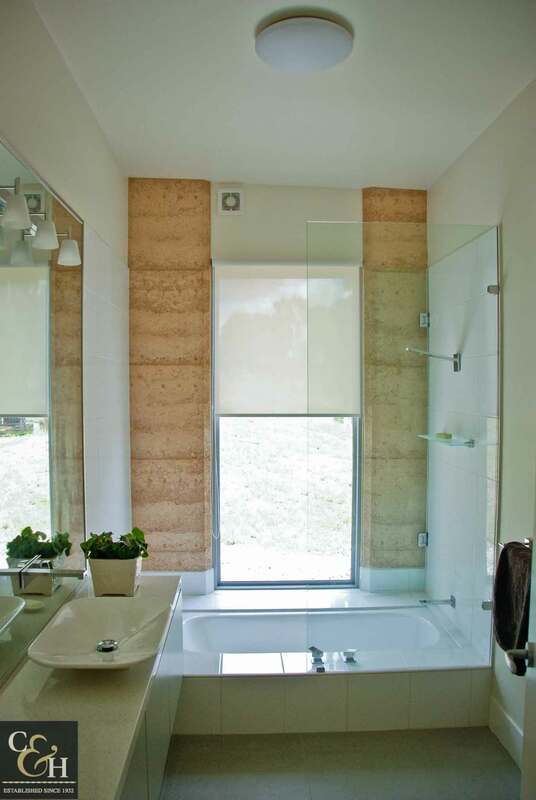 Colours can be coordinated with blockout rollers, Romans or curtains to add privacy at night.